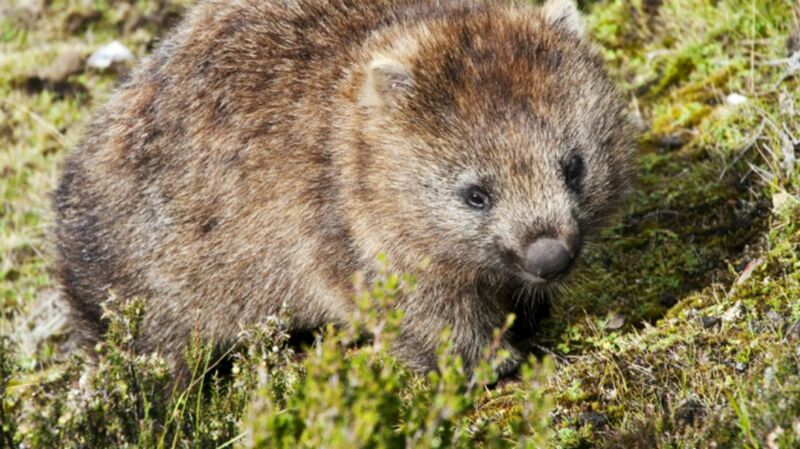 Many see the wombat as a charming, sturdy and industrious creature. But it takes an artist’s eye to look at a wombat and see a muse. And that's what 19th-century painter and poet Dante Gabriel Rossetti did. A leader and founding member of the secret society Pre-Raphaelite Brotherhood (PRB), Rossetti was legendary for both his artistic gifts and his roguish temperament. Where Rossetti went, tumult and heartbreak inevitably followed. He had a taste for drama, the pretty women he called “stunners,” and—like many of his countrymen at the time—exotic animals. After the death of his long-suffering wife, artist Lizzie Siddal, Rossetti moved into a grand house in London and immediately began collecting foreign fauna. He had armadillos, owls, a woodchuck, peacocks, a salamander, and two jackasses. There were dogs of all shapes and sizes, parakeets, kangaroos, a marmot, and a bull. There was very nearly an elephant, until the deal fell through. But all these wonders were eclipsed the moment Rossetti got his wombat. The lowly, cube-pooping wombat made its way into the PRB’s private mythology. The painters, who were accustomed to depicting gods, angels, and nymphs, began sketching wombats. The drawing below is a sketch by renowned painter Edward Burne-Jones. Sketch by Edward Burne-Jones. Public Domain. The acquisition of a real live wombat was nothing short of a dream fulfilled. “The wombat is a joy, a delight, a madness,” he wrote in a letter to his brother William Michael. Rossetti wasted no time in implicating the wombat in his troublemaking. He named the hapless marsupial Top—which just happened to be a play on the PRB’s nickname for William Morris, the clueless husband of Rossetti’s latest conquest. Here Rossetti depicts Jane Morris, resplendent, walking chubby Top on a leash. Top had full run of the house. Visitors would later tell tales of finding him asleep on the dining room table, eating ladies’ straw hats, and chewing men’s pant legs. To his credit, Rossetti did call the “dog doctor” to tend to his beloved wombat, but he was too late. Most wombats live for 15 to 20 years in captivity; Top only made it to age two. Rossetti was devastated. He had Top’s body stuffed and put him on display by the front door. The artist gave vent to his grief in a bizarre, illustrated poem.